Las habitaciones están principalmente disponibles durante las vacaciones universitarias (junio, julio, agosto, septiembre), es decir cuando los estudiantes ya no usen las habitaciones. Normalmente las habitaciones se hacen disponibles entre dos y tres meses por adelantado, por favor regrese a la pagina web durante este período si en este momento no hay habitaciones disponibles. 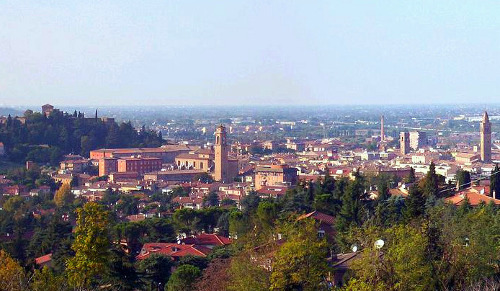 Cesena is in the Emilia-Romagna region of northern Italy, south of Ravenna and west of Rimini, on the Savio River. Only about 9 miles from the Adriatic Sea, Cesena is at the foot of the Apennines, providing visitors with the contrast of both hilly and coastal landscapes close by. The city is home to a variety of sites to see, including the Palazzo Ghini, which is the best known of the aristocratic Ghini family, and has been the site of many archeological finds indicating that several Roman buildings once stood here. 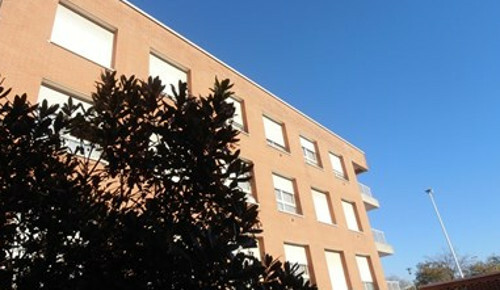 The Art Collegection of Fondazione Cassa di Risparmio di Cesena is housed in a building which used to be a Celestine monastery. The city is also home to the first public library in Europe which was listed in UNESCO ‘Memoire du Monde’ list. Cesena railway station, opened in 1861, forms part of the Bologna-Ancona railway, and is situated at Piazza Giorfio Sanguinetti, to the north east of the city centre. 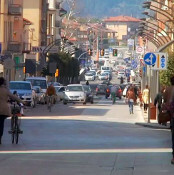 If travelling my car coming from the north, take the highway A14, take exit “Cesena”, go straight on Via Cervese SS 71bis up to the centre of the town; otherwise take the exit “Cesena Nord”and go straight on to the centre. Coming from Rome, take SS 45, called E45, up to Cesena. The closest airports are Bologna (100km), Forli (15km) and Rimini (30km). The city was taken over by the Romans in the 3rd century BC, and was a garrison town of strategic importance which was destroyed in the wars between Gaius Marius and Sulla. Cesena was on the boundary between the Exarchate of Ravenna and the Lombards and was presented to the Papacy by its Frankish conqueror in 754 and passed back and forth between the popes and the archbishops of Ravenna. It was then long contested between popes and Holy Roman Emperors. The brief rule by the Forlivese Ordelaffi was crushed in 1357 by Papal troops led by Cardinal Gil de Albornoz, after a long siege endured by Cia degli Ordelaffi. 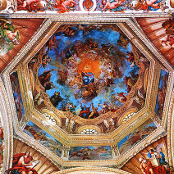 The little comune revolted again in 1377 during the War of the Eight Saints. During the period 1379-1465 the city recovered and prospered under the Malatesta, who rebuilt the castle (called Rocca Malatestiana) overlooking the town. The Malatestiana Library, was built by near the castle by Malatesta Novello (1429). During World War II Cesena was near the Gothic Line, which ran along the Appennini near the city, and suffered heavily from bombing. 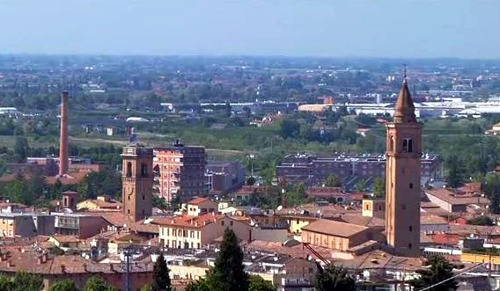 In 1992 it was elevated to the rank of co-capital of province, together with Forlì.